I’m a real sucker for good wide angle lenses, and I’m constantly searching for a few ideal wide lenses for landscape and architectural shoots. I’ll settle on something I really like, then get a new medium format digital back or camera that puts a hurt on my once “great” lens. So the search seems to go on forever. The following short test is for the Mamiya AF 28mm f/4.5 Aspherical Lens, which Mamiya started producing a few years ago. Phase One makes one with their name on it as well…same lens. Now that Phase One and Mamiya have one website, I guess they’ll probably just produce one flavor now. The lens will be used with a Phase One P65+ 60 megapixel medium format digital back. In the past I’ve used the Mamiya 35mm AF lens as well as a Cambo RS with both the Schneider 5,6/24XL Apo-Digitar and the Schneider 5,6/35 XL Apo-Digitar. 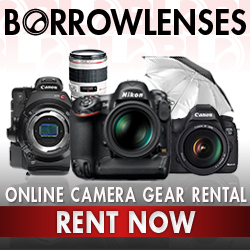 I must say the Cambo RS setup with those lenses and a Phase One P45 back is awesome. There are some drawbacks with the Cambo RS though. Slower to work with, Lens cast issues (which are correctable but still a hassle) ergonomics, wires and cables aplenty as well as major light fall off in the corners. Yes you can use an expensive center filter and or correct in post. 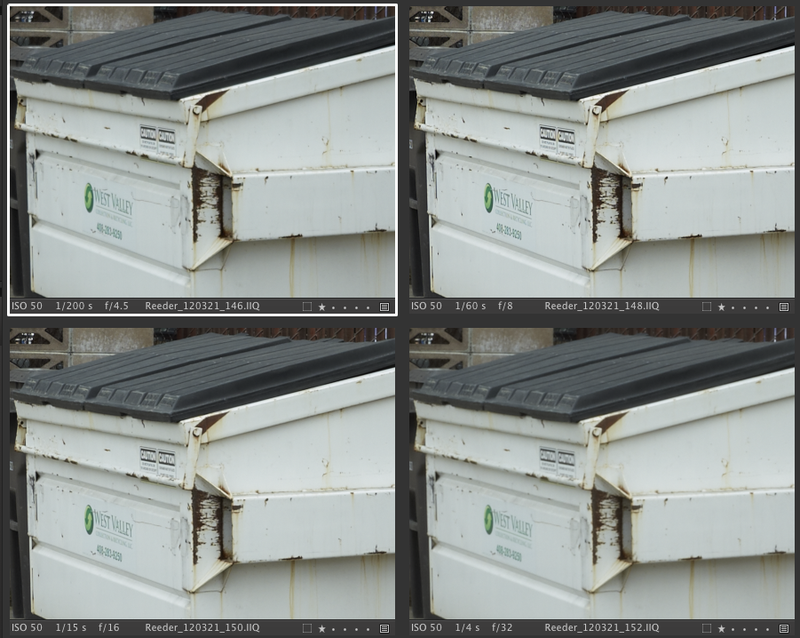 The center filter takes around a 2 stop loss, and correcting in Capture One can add some noise in the corners as its basically brightening the corners around 2 stops. Maybe a review of that camera in near future. I will be keeping the Cambo as its hard to beat in terms of quality, but there are times I need something a little faster or less clumsy. Basically the Cambo is like a traditional view camera, the Mamiya is an SLR. Heavy tripod, cable release, mirror lock up, self timer, AF focus confirmation, slight breeze. Capture One 6.3.3 on MAC, default lens correction settings= chromatic aberration enabled, Distortion enabled, all others off. 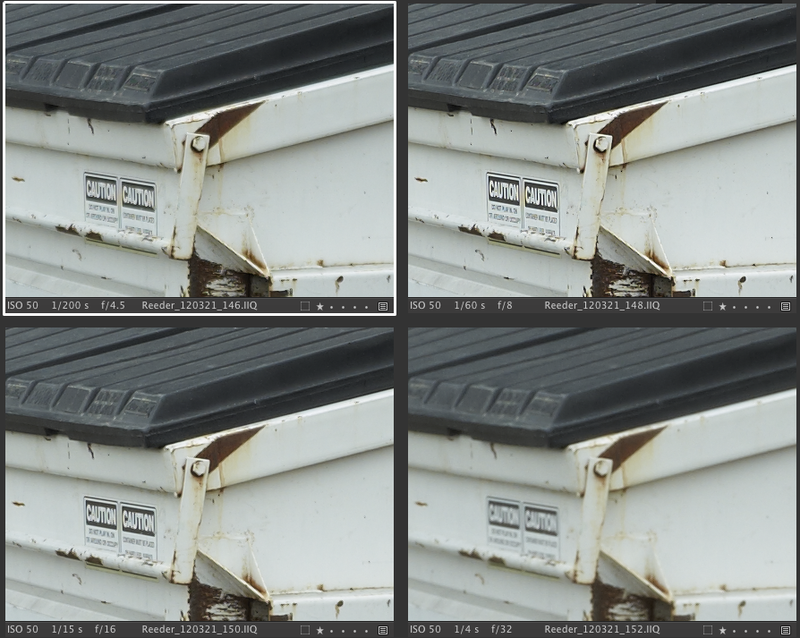 Below are 50% crops of the center (also what I focused on), the four different images are comparing different f stops (f/4.5, f/8, f/16, f/32). 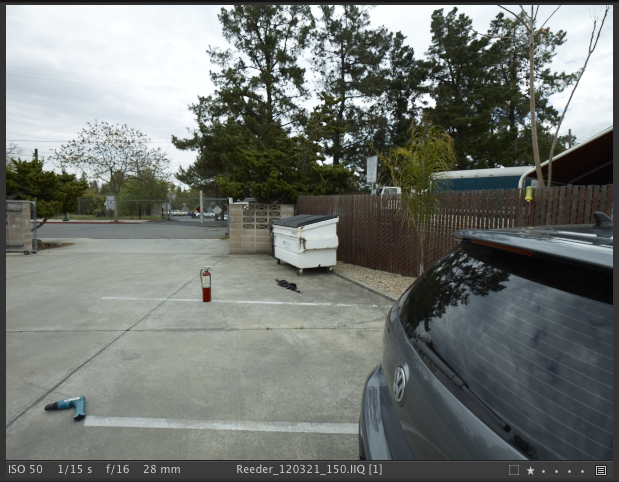 F/4.5 – Some vignetting (correctable in post, doesn’t really bother me). Not as sharp as other apertures but still useable if needed. F/8 – Really sharp in the center, slight vignetting, blue drill in corner not tack sharp mainly because of focus/distance not optical issues. F/16 – Looks not too bad, chromatic aberrations seem under reasonable control in the trees too. There was a little breeze so look for stationary subjects as indicators of true sharpness. 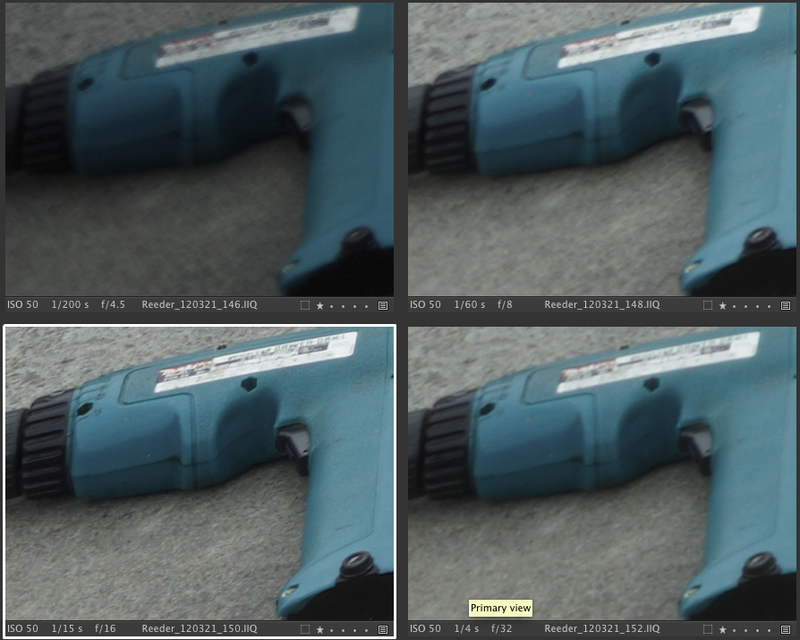 Blue drill in bottom left corner is pretty sharp. f/11 is obviously somewhere in between. More than likely I will use f/8-f/16 in real world situations. F/32 – Diffraction pretty obvious at 100%, at 50% its not horrible. I almost never use the smallest aperture on any lens I own. After reviewing the results on screen, I decided to print a large print of roughly 28″ x 37.5″ @ 240ppi (which is the native pixel size) on my Epson 9800, premium luster epson paper, 2880i, profiled, etc. I ended up using the f/16 image, I know its not necessarily the sharpest in the center but I was guessing at that print size and adding a little output sharpening it would be a good compromise. For most of my landscape work I prefer most of the scene in focus. Pixel peeping on screen only shows so much, I can’t remember the last time I went into a gallery and asked for a digital file of the work on display so I can zoom into 100-200% and make sure everything is in order. If it looks good hanging on a wall at a large print size, it’s good enough for me. Overall the print looks great, at normal viewing distances and at up close pixel sniffing ranges.